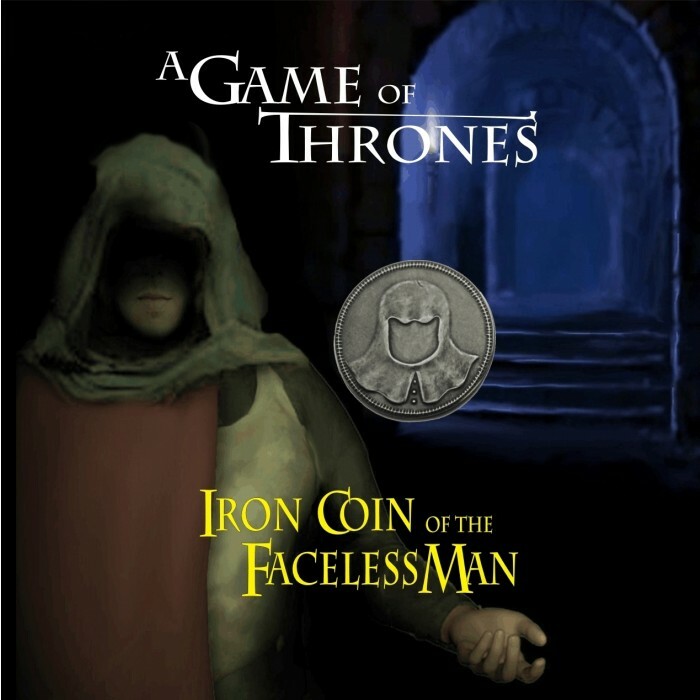 The Fully Licensed Iron Coin of the Faceless Man is struck in metallurgical grade Pure Iron, and comes with a blackened and pastewaxed finish. 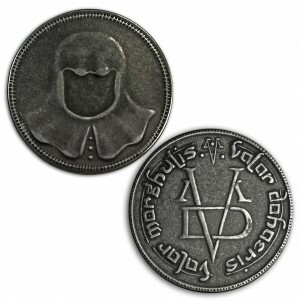 It weighs about 6 grams and is about 26mm in diameter, and it has a bright “ring” sound when flipped in the air. 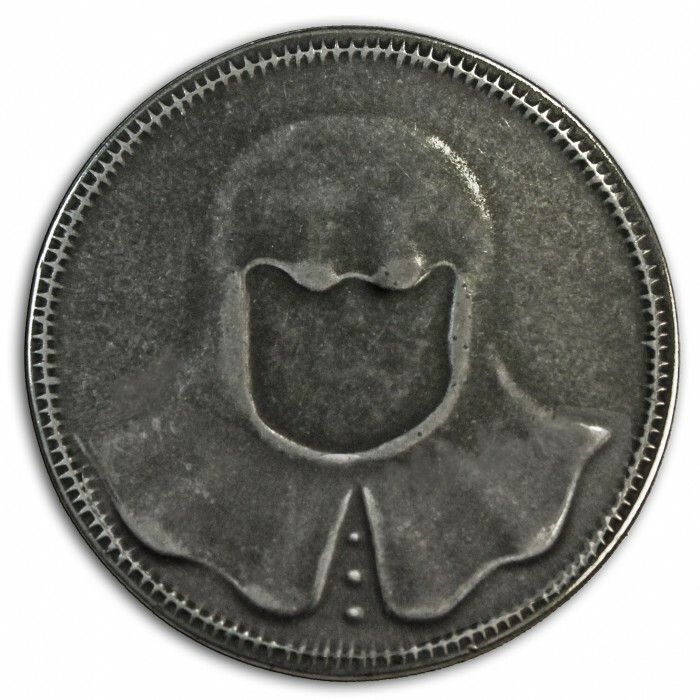 A shadowy face peers from under a deep cowl. 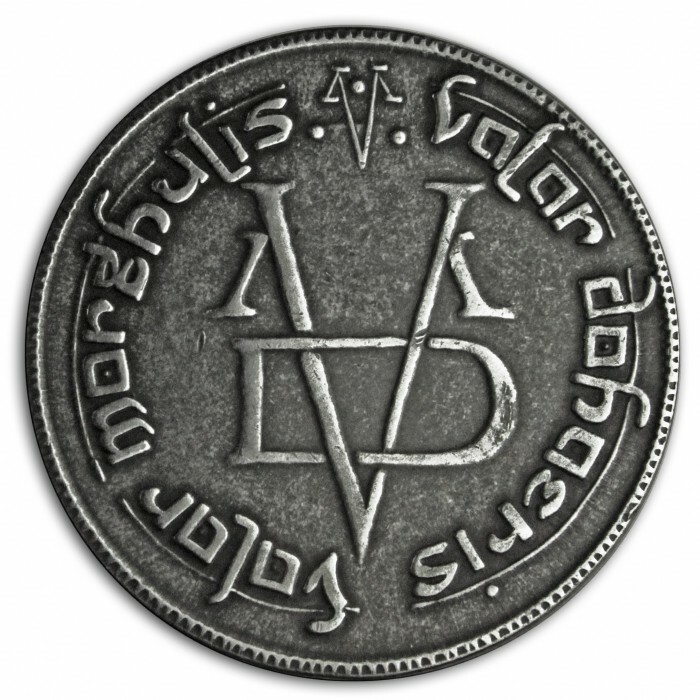 Inscriptions on reverse show an enciphered VDVM symbol in the center, with lettering around the rim spelling out VALAR MORGHULIS, VALAR DOHAERIS.